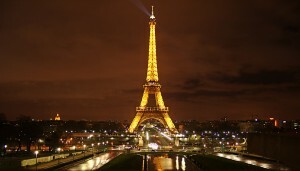 Many people think of Paris as the city of romance, the place couples young and old go for on a romantic break for two. However, though it’s undeniably a great place for that, it can also be a great destination to take the family on holiday. Paris is a city packed with things to see and do. Of course, there are the obvious tourist attractions, which everyone should see at least once in their lifetimes. The Eiffel Tower, the steps of Montmartre, Notre Dame Cathedral, the Arc de Triomphe and the Louvre, to name but a few. However, the city is also packed with great museums for kids, like La Cité des Sciences et de l’Industrie; an ultra-modern science museum that receives over five million visitors a year. There’s also the Musée de la Poupée (the doll museum) right next door to the Centre Pompidou. There are over 300 French dolls exhibited in different Parisian scenes. The dolls date from 1850 to today. You can combine it with a trip to see the modern art museum at the Centre Pompidou. Paris is a compact enough city to see all the main sights by foot, but if your kids get tired you can always hop on the metro system, which is easy to navigate and gets you from A to B without any problems. And of course, for many kids the pièce de résistance is the draw of Disneyland Paris – only a train ride away from the city centre. No trip to Paris for kids under 10 would be complete without spending at least a day in Eurodisney. If you’re looking for hotels Paris has them in abundance, but if you do plan to go to Disney while you’re there, you’d be best advised to stay on the west side of Paris, in one of the suburbs like Noisy-le-Grand or Neuilly. Then you’ll be perfectly placed to spend time both in the city and at the theme park.